Rarely can you find a craftsman of the old school producing exact replica parts true down to the last detail. One such man is Mr Libanore of Monza, Italy. As well as seats for the MSDS he makes the most exquisite alloy tanks for most every classic Italian racing motorcycle. He can be seen at the major Italian Scambio or contacted at his shop – if your Italian is up to it! 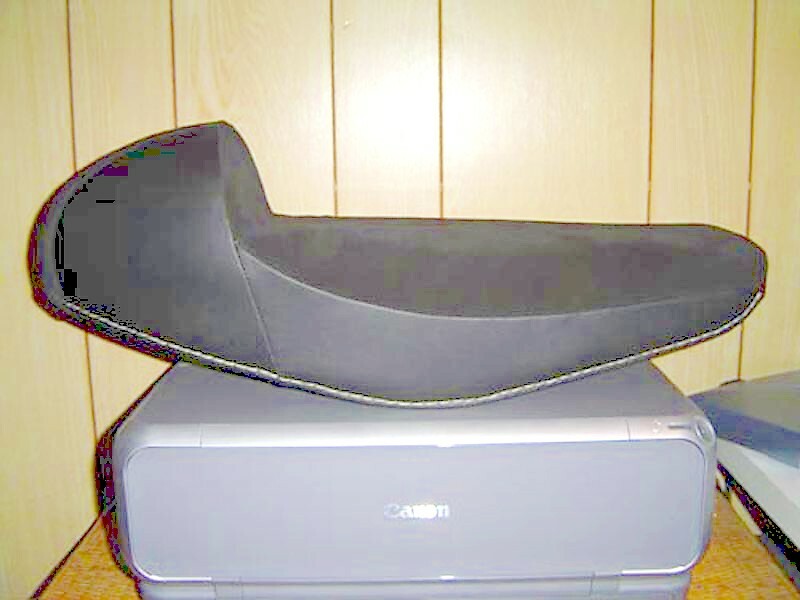 The seats used on MSDS/GS & Wildcat models (maybe others) were of a different construction to the “normal” bed & corset spring abominations used on just about all Italian bikes of the 50/60s. The seats were made in what is now a conventional construction – foam on a sheet steel base. A rather odd cover fixing system involving a leather strip, some rivets & a heavy duty sewing machine made for a unique appearance. The manufacturer of these seats recorded their efforts by attaching a tag to the rear of the seat. 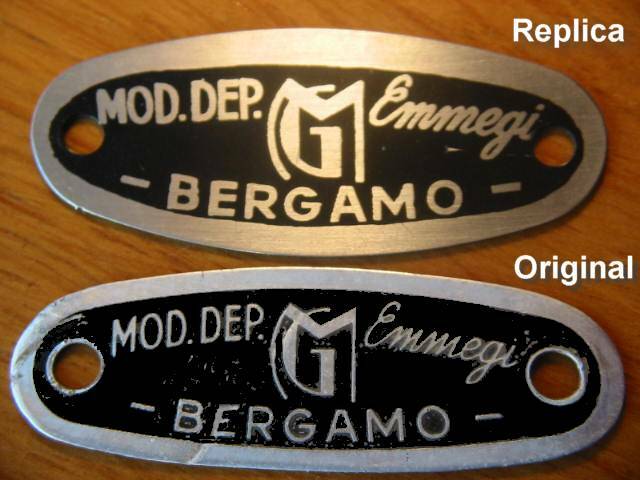 The correct tag for the seats has been reproduced here in the UK by John Crookes. They are made in laser cut stainless steel with a nicely detailed logo reproduced onto the surface.